Succesfully dumped the 100D and 700D. They look very similar to the 650D/EOSM. I've started the 700D initial port. Important thing for videographers here is to perform a benchmark of the sd card to confirm if it has the same limit of t4i. can you share some info about that nanomad? They are in fact 90% similar! 700D has only gone through plastic surgery. It is only the exterior that has changed an minor software changes. I would also like to help alpha testing or something else. I am a web and Windows developer, so maybe i could help in any way. Is there any ETA for the 700d ML? Would be great to know. I've committed what should be a working, untested, port of the 700D. 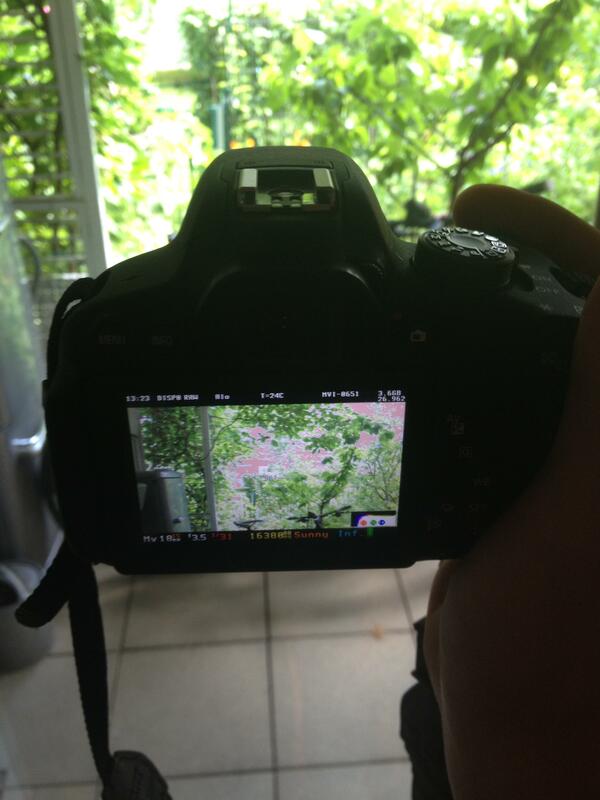 It should work as good as the 650D one unless I screwed it up. It's a "blind" port, as I don't own a 700D myself. So, what I need right now is ONE tester with C background and a 700D on his hands. If you think you fit this description throw a PM at me. Extra points if you're willing to take care of the 700D port yourself. Will there be a first alpha release soon? Will it support touch functionality? And thank you so much, nanomad! Looks like you didn't read the post above. We don't have a 700D, and since we have plenty of things to do with the other cameras, we don't have any plans to buy one anytime soon. Therefore, nanomad asked if somebody with C skills can volunteer to port ML on 700D. It's likely very similar to 650D, we can provide some advice about the porting process, but that's pretty much it. From the massive interest in ML for 700D (10 retweets), you should understand that this port has a very low priority for us. Don't expect any kind of release anytime soon. The good news: porting ML is a lot easier than you may think; a lot of things are figured out by trial and error, enabling features, seeing what works and what not, tweaking the source code here and there and so on. You need some basic C skills, common sense, a lot of spare time and the desire to learn by exploring some unknown territory. I am very sorry. I just misunderstood his post. I am not that good that i could generate my own 700d versions. I am too afraid to destroy the camera. I can understand that there is no high priority on this camera so I will just wait. How about 100D. I have one and have good C skills. 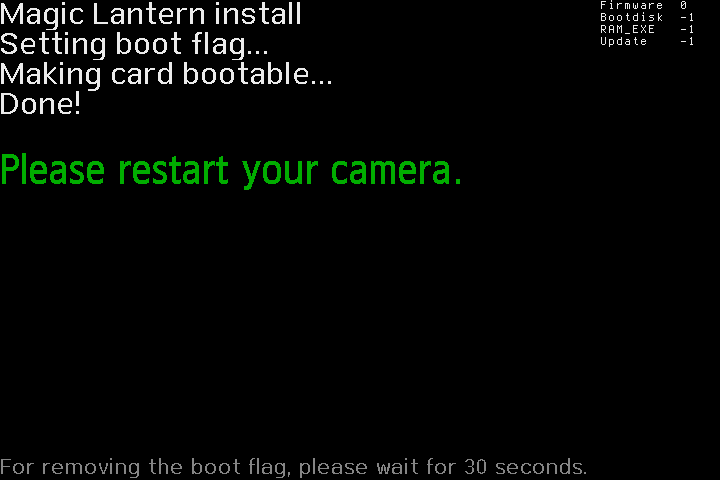 Hi, I just bought my first HDSLR camera, the 700D a week ago and yesterday I came across this amazing Magic Lantern firmware update. 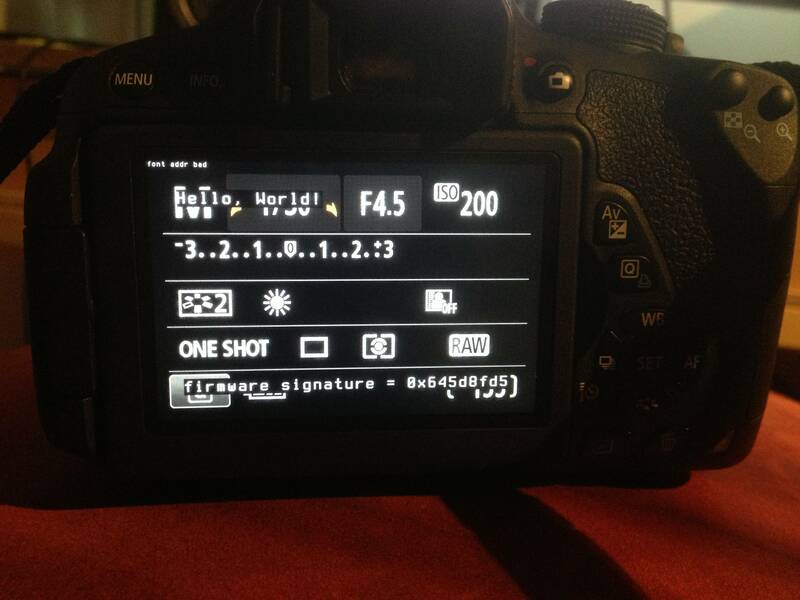 I hope you can manage this firmware to work with the 700D in the future. But first I have to read a lot of things on this forum concerning the firmware. Thanks for all the effort to make this happen. we have hello world?! awesome! too bad I have ZERO C skills..
Woohoo! Well done for getting on with it. If everything is sort of ok and need testers to TShoot drop me a pm as more than happy to help. Is that a 700D with ML firmware? Science and nanomad are doing great work! Are you running it too? Or is that science's photo? How is it? Any bugs found yet? Well, functionality is limited, keep in mind this is pretty much a pre-alpha, including bugs.